Last weekend saw what signals to us the beginning of Autumn: potato harvesting. 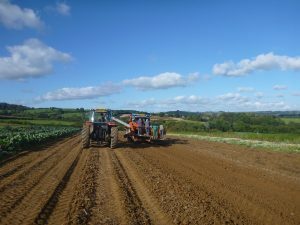 Here’s a brief explanation of how we get those potatoes from our field to your fork. At Bothen Hill we plant our potatoes on the back of our tractor. 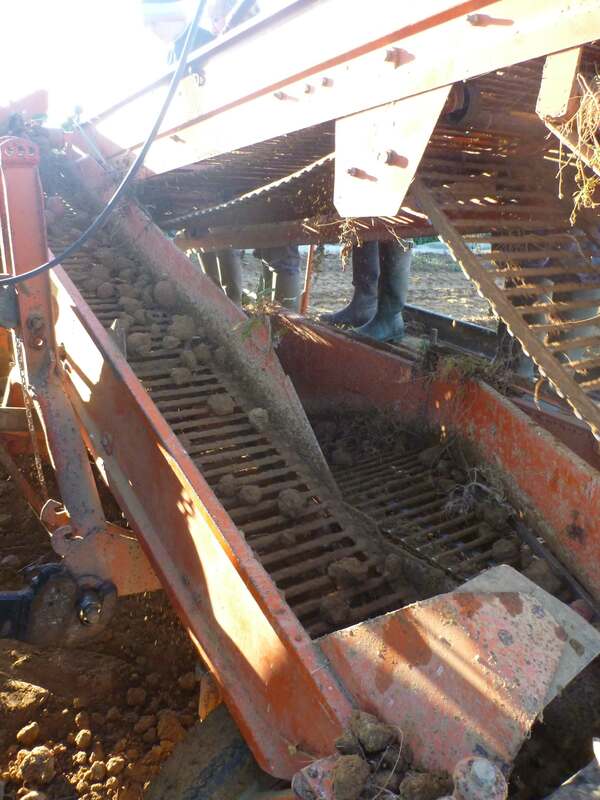 We start planting the first early potatoes in January, with harvest starting in early May. The remainder of our potatoes are main crop varieties, with types such as Valour and Rudolph being planted in early April. These are allowed to grow all summer until they are harvested during late September or early October. Towards the end of the summer, the tops are removed a month before harvest to allow the skins to ‘set’ which means the potatoes will store well. This is important as we aim to keep this harvest going all the way until we have new potatoes again in the Spring. When it comes to harvesting, our potatoes are lifted using a tractor mounted harvester, which lifts the entire row, dirt and potatoes. The whole family are then involved to separate the potatoes from dirt which move along the machine on an elevator and in to half ton boxes for storage. All of our potato varieties are suitable for all uses, but we do grow waxier salad potatoes which are particularly good sautéed once the summer season has passed.